ST JOHNSBURY, VT — Brenda Kay Dow passed away on Sunday, Sept. 28, 2014 after a period of failing health. She had been a resident of the St. Johnsbury Health & Rehabilitation Center for the past two years. Born in Newport, Vt. in 1932, Brenda Kay (Schoppe) Dow was the oldest of Rolfe Weston Schoppe and Dorothy Spencer Schoppe’s four children. 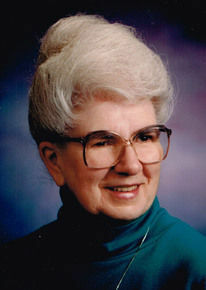 Brenda attended elementary school in Orleans and graduated from Orleans High School in 1950. She married Winston Cecil (“Pete”) Dow on Jan. 17, 1951, and they in turn had four children together, living in Orleans during the first few years of their marriage and then moving to St. Johnsbury, where they resided for the rest of their lives. Bren found work at St. Johnsbury Trucking and did coding on the evening shift for more than 25 years. Because of her work schedule, she became a night owl, shopping for groceries when she got out of work at midnight, staying up reading till 3 or 4 a.m., then sleeping late in the morning. She will be remembered by her family, friends, and co-workers at St. J. Trucking for her affinity for blue denim, her quirky sense of humor, and for her cooking: her signature recipes are still “must-have” fare at family celebrations and holiday meals. Bren also contributed a number of recipes to the St. Johnsbury Trucking Employees Cookbook of Favorite Recipes published in 1988. Bren loved decorating her house, and the footbench near her favorite chair was always covered with stacks of Country Home and Country Living magazines. Each summer she’d hang baskets of bright-red geraniums on her porch, plant sunflowers in her garden, and train morning glories to grow on a trellis outside her back door. She was very attached to the animal companions she had over the years: numerous cats and kittens (some from Patenaude’s barn in E. St. J. ), her German shepherd Gretchen, and in later years, her much-loved golden retriever Murphy. She didn’t learn to drive until she was in her 40s, but once she started, there was no stopping her. She was especially fond of exploring back roads in the area, often with her grandson, Matt, who was her constant companion when he was growing up. After she and her passengers had some (shall we say) “memorable” experiences on the less-traveled roads around St. Johnsbury, she eventually settled on one rule for herself: if a road has tall grass growing in the middle of it, it’s probably not a good idea to take it! But everything else was fair game, and she had some great adventures over the years. Brenda Kay Dow enjoyed antiquing and she collected all kinds of interesting pieces, especially blue and white china. She was an avid reader and a familiar face at the Athenaeum, where she would head directly for the mystery section and take home five or six books at a time. When she was still mobile, she enjoyed going up to “Time-Out” the family camp on Shadow Lake in Glover that was built by her parents back in 1940. Bren spent many happy days there, starting when she was a child herself and continuing well into her 70s. Her husband Pete’s parents as well as other members of the extended Dow, Basssett, and Jones families also cherished, and still do cherish, their time there. Brenda Kay Dow was not only a good mother, she was also a devoted daughter: when her parents were in their 80s and needed help with everyday tasks, she was always there for them, bringing them groceries, cooking favorite foods, doing errands, and taking them to their doctors’ appointments. In 1992, when they both went into the nursing home within a week of each other, she visited them there every day for the next four years. Brenda Kay Dow was predeceased by her youngest daughter Joni Lynn Dow in 1974, her husband Pete Dow in 1984, her sister Carol Schoppe Jones in 1992, her parents Rolfe and Dorothy Schoppe in 1995-1996, as well as her oldest daughter Nancy’s husband, Wayne Bassett in 2001. Survivors include her children, Nancy Dow Bassett of St. Johnsbury, Michael Peter Dow and his fiancÃ©e Karen Bugbee of St. Johnsbury, and Lori Ann Dow and her husband Dan Kelliher of Peacham. She is also survived by her sister Joan Spencer Weston of East St. Johnsbury; her brother Scott Weston Schoppe and his wife Clara of St. Johnsbury; and three grandchildren who meant the world to her: Matthew Bassett and his wife Lindsay of Danville, Justin Dow of St. Johnsbury, and Warren Dow of St. Johnsbury. Other survivors include her husband Pete’s brother and sister and their families as well as nieces, nephews, and two young grandnephews. The family extends a special thank-you to the staff at St. J. Health & Rehab, not only for the compassionate care Brenda was given, but also for the friendship, stories, and laughter she and various staff members shared with each other. 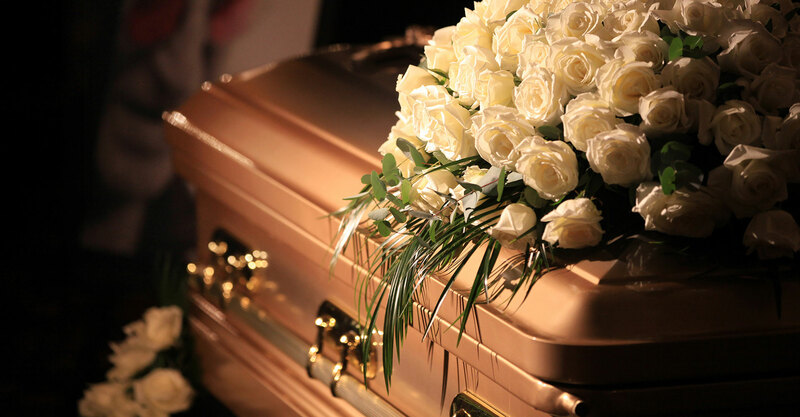 This was her home for the last two years of her life, and she felt comfortable and safe there. There was a gathering of friends and family on Thursday, Oct. 2, 2014 from 6 to 8 p.m. at Sayles Funeral Home (525 Summer St. in St. Johnsbury). A private graveside service was held in the Pleasant View Cemetery in Orleans at a later date. Memorial contributions in Brenda Kay Dow’s name could be directed to either the St. Johnsbury Athenaeum at 1171 Main St., St. Johnsbury, VT 05819 or to St. J. Health & Rehab. Any contributions going to the latter should be marked with Brenda’s name, specified as being for the employee fund, made payable to St. Johnsbury Health & Rehabilitation Center, and mailed to 1248 Hospital Drive, St. Johnsbury, VT 05819. 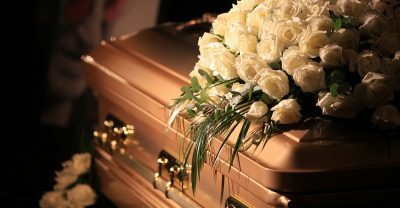 Share Memories and condolences privately at www.saylesfh.com.